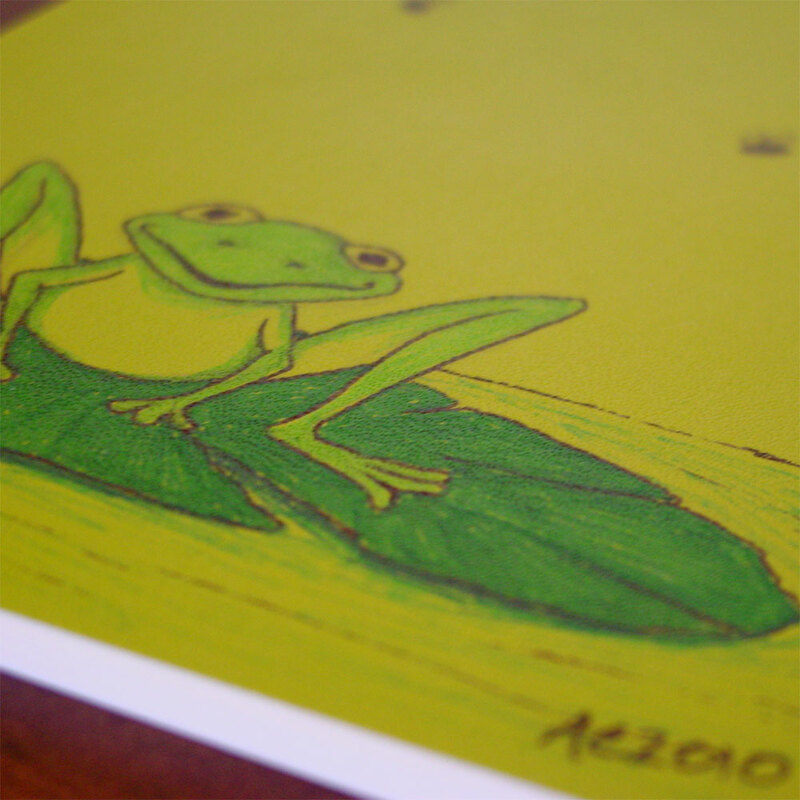 This bright green Moleskine Volant notebook has been hand-decorated with Sharpie marker, this time with a happy little froggie just chilling on his lily pad. He’s got three flies buzzing above, perhaps ideas he’s going to take into himself when he gets the urge? Moleskine’s colorful notebooks are ideal for customization, turning the high-quality book into a work of art in which to wrap your ideas. The acid-free ruled paper is a creamy ivory color, and a delight to write on. The large size Volants have 96 pages between their soft vinyl covers. 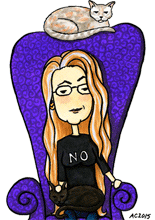 The design is in permanent Sharpie, and should last as long as the notebook it’s drawn on. 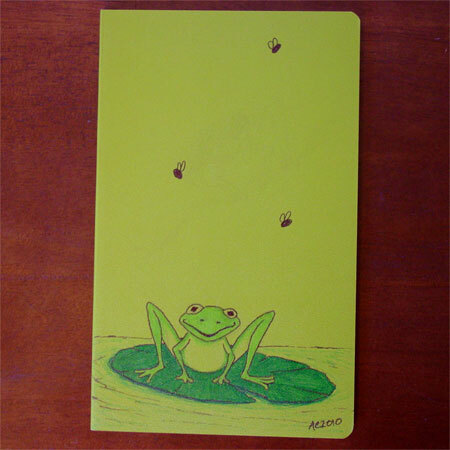 Happy Frog, 5″x8.25″ customized Moleskine Volant notebook.